Precision Marketing. GLS Offers Next-Level Marketing Services. Many of today’s print buyers are looking for much more than ink on paper. Print providers that offer true value are those that take the relationship to the next level, becoming partners in marketing strategy. Based in Minneapolis, MN, GLS / NEXT Precision Marketing just began celebrating its 35th year in business. The marketing service provider operates out of three facilities—two manufacturing facilities and one agency. The privately owned company has 285 employees. 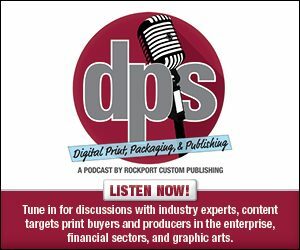 The print and marketing service provider serves all major markets and brands with its NEXT Precision Marketing strategy, which encompasses everything from “Ideation to Implementation,” according to Jim Benedict, marketing director, GLS / NEXT Precision Marketing. Empowered by GLS—the printing arm of the company, NEXT Precision Marketing is the agency side of the business. Its mission is to put brands in front of the best buyers with a direct and personalized experience that showcases their content and story. A mix of integrated branding and content marking services reach modern print buyers. Services include market insights and strategic services, media research and planning, program design and management, branding, creative and design services, social media and publicity support, digital user experience design and web development, search marketing programs, marketing automation and lead nurturing, data-driven marketing programs, integrated print, fulfillment, and mailing and distribution. In the past few years, GLS / NEXT Precision Marketing has experienced increased demand for shorter press runs, faster turnaround times, and high variability. To meet these evolving demands, it operates three HP Indigo 12000 Digital Presses, as well as two HP Indigo 7800 Digital Presses. The company also utilizes two heat-set web presses and four Heidelberg sheet-fed presses. The HP Indigo 12000 Digital Press targets commercial applications and supports a wide range of substrates. The B2 digital press offers the print provider the quality, productivity, and color matching capabilities it needs to support its customers’ latest demands. The HP Indigo 7800 Digital Press—which has been replaced by HP with the HP Indigo 7900—is a 13×19-inch format digital sheet-fed press. GLS / NEXT Precision marketing entered into the digital production space in 2003, selecting HP as its primary partner in this new venture. “For us, image color quality is very important,” says Benedict of its digital capabilities. To gauge its digital volume levels, Benedict offers that in 2017 the company produced 85 million digital impressions, and in 2018 it was on track to have produced more than 120 million impressions on its HP Indigo digital presses at press time. He estimates that 28 percent of its work is digitally printed. For its media and substrate selections, the marketing service provider is satisfied with its decision to partner with GPA since its entrance into digital printing. “Based on GLS being an early adopter to the digital printing space, we wanted to work with a digital substrate provider that shares in our vision and goal to offer high-end print complemented by a strong lineup of substrates and services. We partnered with GPA and never looked back,” shares Benedict. To help showcase its range of services and available substrates, GLS / NEXT Precision Marketing recently produced a sales and marketing sample book, which it refers to as AMPLIFY. The book showcases a variety of special effects and different GPA substrate offerings. The goal of the project is to educate its customer base and be recognized as a thought leader in its marketplace. “Some folks still have a misconception when it comes to digital printing,” admits Benedict. The AMPLIFY marketing sample book helps provide a visual guide to what it is capable of producing. “For this piece of collateral, we have won several prestigious digital printing awards,” he adds. In total, the print provider ran 2,000 of its AMPLIFY sample books. The project was designed internally by its agency, NEXT. It took several months to compile, due to the fact that it incorporated various creative elements that had to align with different substrates. Each image was selected to complement the substrate and finishing technique. Benedict notes that a variety of the pages in the book utilized CMYK with several repeats of HP Indigo White ElectroInk to create special effects. GLS / NEXT Precision Marketing is passionate about its clients and utilizing the latest technologies—both in print and online—to ensure the brands they represent are innovative and on trend. With the help of digital print technology and design and marketing expertise, the company is on track to continue its growth and its service offering as it moves into 2019.